... on the website. 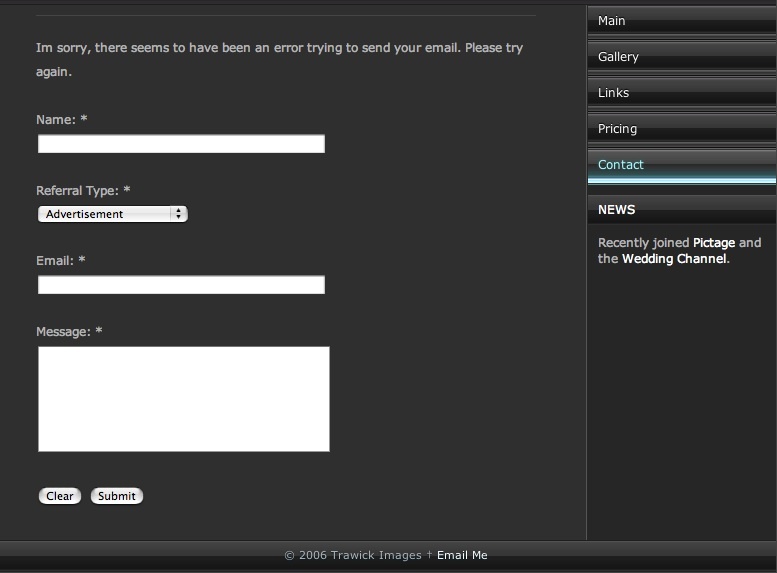 Currently trying to fix the contact php mail form, which seems to be a problem with my web host, possibly not supporting specific commands from my RapidWeaver program. Of course, I can still be contacted via direct email. Click on my profile. Thanks for stopping by... Happy Shooting!